When we see a scar what do we think? The automatic, subconscious can go several ways, jumping to conclusions of surgery, accidents, survival and life. To some scars are something to conceal, to others they wear with pride, memories of the battle. 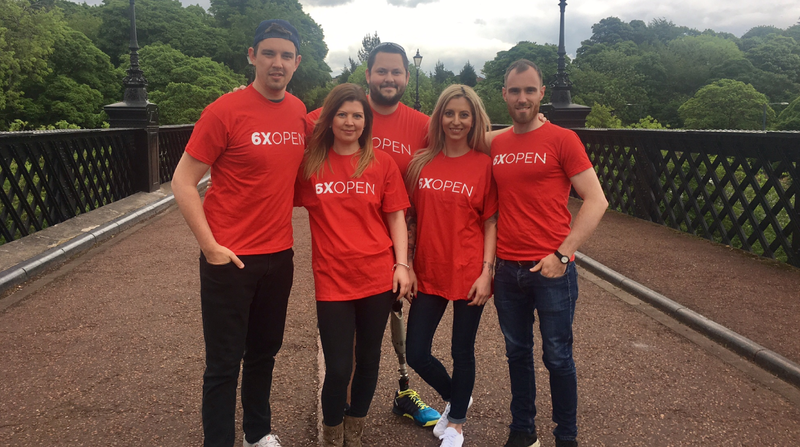 The SIX TIMES OPEN campaign is reaching places we never expected! Not only are people all over the UK being reached, but we have had response and great connections with people in Canada, USA, Hawaii, Europe, Australia and beyond all who are coming together to support us and share stories! On the 30th May we met with Brigitta and the SCARS ARE BEAUTIFUL team from Vancouver Canada, in Newcastle to chat scars, life and campaign. We had a great day sharing stories and shooting for Brigitta’s SCARS ARE BEAUTIFUL book. Brigitta started SCARS ARE BEAUTIFUL in response to her own experience with heart surgery with the goal being to photograph 100 people with scars from all around the world and eventually make this into a book! Scars Are Beautiful is a project dedicated to ending the stigma behind scars and promoting awareness for Congenital Heart Disease. All proceeds go to the Scars Are Beautiful Book. It was great to meet, laugh and connect, showing evermore that we are as strong as we are united. We look forward to seeing the completed book! SOME AMAZING QUOTES WE LOVE. M.L Steadman; ‘Scars are just another kind of memory’. Leonard Cohen; ‘Children show scars like medals. Lovers use them as secrets to reveal. A scar is what happens when the word is made flesh’.